If you are a long time reader of my blog, you probably already noticed the Beco Baby Carrier banner on my site for the past month. I was the lucky recipient of a Beco Baby Carrier (and I think I might be the very first review blog to be reviewing this fantastic baby carrier and giving one away too). If you read parenting magazines, you might have already come across ads for this baby carrier. I don't know how many of you are familiar with the Butterfly 2 carrier from Beco Baby carrier, but I am very excited to share what I have learned about it with you. As I have mentioned before, I have been trying this baby carrier for a month now and I absolutely LOVE, LOVE, LOVE it! I am not going to waste your time by telling you how many different ways you can wear this baby carrier because you can just look up the information on the Beco Baby Carrier website. Rather, I want to explain why the Beco Baby Carrier is my favorite! If you have an infant, you probably have seen the recalls on baby slings and how some of them might pose dangers to your child and even cause death. I have recently learned that some mothers would put their newborns into slings before the babies have enough neck support to hold up their heads, and the infants ended up pressing their heads down, cutting off their airways. Because of the recent concerns about baby slings, I now prefer baby carriers. Now, onto the important stuff, what's so special about Beco Baby Carrier? Seriously, it looks like any other baby carriers. Why should you spend a $140 on a baby carrier? Well, hopefully by the time you are done reading this post, you will be rushing out to buy one. Just so you know, I definitely did not get paid to write this review! I did, however, received the Beco Baby Carrier to test it out. I have never compare products as a part of my review before, but I am going to do it for you mommies out there. I know that many moms have seen products that look very similar to Beco Baby Carrier (such as the Ergo Baby Carrier) and I want to explain why I and the moms in the mommy's group I belong to prefer the Beco Baby Carrier. (Please keep in mind that this is just my personal opinion, other people's views might be different from mine). I am also including the opinions of my mommy friends because I passed my Beco Baby Carrier around for other mommies with infants to try it out too. First of all, if you are a larger woman, you might need to buy an extension strap for other baby carriers in order to wear it comfortably. I know several larger size moms who could not wear the ergo baby carrier but had no problems with the Beco Baby Carrier. Though I have to say that being an average size woman, I am able to wear all baby carriers without any problems. Second, I LOVE, LOVE the inside panel of the Beco Baby Carrier-- which I have not seen on any other baby carriers before. The reason why I love it is because if you have an infant, the inside panel ensure the security of your baby. My friend who has tried other baby carriers before said that her baby fell out a baby carrier (falling out from the bottom) because there was no fabric panel on the inside to provide that extra security. And this is why I think the inside panel support is so awesome. Third, I love the built in infant support. If you have an infant, you know how important it is to support his/her fragile head and neck. With some baby carriers, you can buy an infant insert for the head and neck support but I have to adjust the insert every time I put the baby in it (which can be pretty bothersome after awhile). With the built in infant insert on the Beco Baby carrier, it is always in the same place and you don't have to adjust it every time you put your baby in the carrier. Once your infant is strong and large enough, you can undo the Beco Baby infant support piece from the carrier and store it for your next baby. Fourth, Comfort! The Beco Baby Carrier has thinner straps than the ergo baby carrier. Though both baby carriers are equally comfortable to wear, I found the Beco Baby Carrier straps to be less bulky. Last but not least, Design! Ok, I know this is completely a personal preference, but I really love the Asian influenced fabric selections on the Beco Baby Carriers. Everyone I know personally who have tried the Beco Baby Carrier have all agreed that it is fantastic and many of them mentioned that they will never buy anything other than a Beco Baby Carrier. And, no, they are not saying saying that because I am their friend and I am reviewing the Beco Baby Carrier ;). Between the moms in the mommy's group I belong to, we have tried at least 20 different baby slings and carriers, and we honestly love the Beco Baby Carrier. The company is releasing a new baby carrier this summer: Gemini carrier, and we can't wait to see what how it is different from the Butterfly 2 carrier. To buy your own Beco Baby Carrier (and I highly recommend this product), please go to its website to make your purchase. Many thanks to Jose of Beco Baby Carrier. He has generously offered 1 Beco Baby Carrier as a giveaway prize to one of my lucky readers (US residents only please). 1). Please go to Beco Baby Carrier and then come back to tell me something interesting you have learned about its products or the company and which design you would like to win (you MUST be a public follower of my blog to enter this giveaway, and your profile can not be set at private). 2.) Blog about my giveaway- with a link back to here, when you leave the comment make sure you include the URL of where your post of my giveaway is. Please do not copy and paste my review over to your blog, please write about why you would like to win this giveaway and provide a link back to this post. The Contest ends April 12, 2010 at 11:59pm PST. 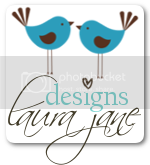 Blogging about my giveaway earns 2 additional entry. 5.) 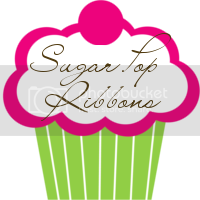 Grab my button and display my button on your blog or website. Then come back to tell me what your website or blog address is, make sure to leave an url address so I can check it. Grabbing my button is worth 3 additional entries. 6.) Retweet this review and giveaway by clicking on the "retweet" button on the bottom of this post. (Right next to where you click to leave me comments). After you retweet, please leave me the url of your tweet so I can check. If you do not know how to check your tweet url, please read this post for step by step instructions. You can retweet once a day for 1 entry each time. NOTE: You can only use the "retweet" button once. If you want to retweet everyday, please tweet the following: " I am trying to win a $140 beco baby carrier @ http://www.sugarpopribbons.blogspot.com/ " for 1 additional entry per day (please leave me the url so I can verify your tweet). 7.) Become a fan of Beco Baby Carrier on facebook and leave a comment there to let them know that Sugar Pop Ribbons sent you for 1 additional entry. 8.) Follow Beco Baby Carrier on Twitter for 1 additional entry. They use recyclable/ reusable packaging for their products! And the Butterfly 2 was designed for front and back carrying, but the baby has to be facing the parents body in either position! I learned their packaging is eco-friendly - and I like that! I learned that they are a green company- this is improtant to me and something that I look for now! The designer was a rock climber, so you know it's got to be good! I learned that the carrier holds 7-45 lbs. I learned that the Beco is a front and back carrier. The weight limits are 7-45 lbs. I am a Beco facebook fan. I learned that the Slings will extend the womb experience and provide a home base of sorts for your newborn. I completely I agree with your experiences with BECO, this was such a relief for both mother and the child. I once used a diffrent brand which somehow caused uncomfort to my child. The carrier comes with: Head Rest, Infant Insert (love this since I have a toddler and we are trying for #2), DVD Instructions and an Owner's Manual. I'm loving the new Beco WEAR line... it is an eco-friendly Polartec fleece vest that zips over the Beco Baby Carrier to keep you and your child warm. Beco combines perfect ergonomics, excellent weight distribution and stylish design from top quality fabrics. Each carrier is handmade. I like the blue scooters design and I learned that they still work on improving the design of the backpack based on customer feedback! I love the Paige design. I learned that Beco produts are eco friendly made of polartec fleece. Fan of sugarpopribbons on FB. I discovered the only place to buy it in a store is in Des Moines. I like the blue scooters. I learned that it can be used for newborn to toddler (7-45 lbs) which is nice! I love the BUTTERFLY 2 in TYLER,just awesome! a fan of Beco Baby Carrier on facebook and left a comment!! 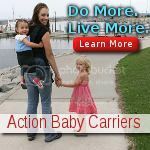 The carrier can carry a toddler up to 45lbs. Learned that they are sold in 4 locations within 30 minutes of my house...cool since I have never heard of them! Already a FB friend and also fanned them on FB and posted a comment with SPR. Thanks! I love that they are Green! I'm a public follower - my name is victoria lester. 5.) 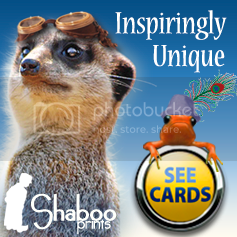 Grab my button and display my button on your blog or website. 3 additional entries. DONE. I'm victoria lester and I'm a FB Fan. I left a msg. that Sugar Pop Ribbons sent me. I learned it can hold up to 45 pounds!! Thanks for the chance. You can pass the baby back and forth while in the carrier - -how awesome! It's one-size, for baby and parent, so you can get years of use out of it. I follow on Twitter- alyssa2047. Following Beco Baby on twitter- alyssa2047. I love that the beco has an infant insert! If I won, I would choose the "paige" design...SO cute and gender neutral just in case I don't have a girl the next time around! I am a facebook fan of Beco! I learned that you can use the Beco for front and back carry which is so awesome! I would love to win the butterfly 2 in Paige. I did not know that Beco carriers could be worn with baby in back! I learned that their packaging is earth friendly, they also have organic carriers - they've got it right! I follow on Twitter (@channynn). I follow Becco on Twitter (@channynn). I'm a Becco fan on FB! I found they have a retailer (I have never heard of---so this was cool to know) in Madison AND Milwaukee WI! AND they were featured over and over in Baby Couture magazine. I love the new NATALIE organic design! thanks! I learned - You can also get your Beco Carrier completely for FREE by reccomending our products to your local specialty baby gear retailer (store). Can baby face out in Butterfly 2? No, we do not reccomend this position with Butterfly 2. The product was designed as a multi-stage baby carrier, capable to comfortably carry babies from infancy thru toddlerhood and as a such, the body of the carrier is larger (wider and taller) then commonly known front carriers. While it would be theoretically possible to carry a baby facing out (away from parent's body) it would not be comfortable for the baby or the parent. I like the panthers pattern on the Becobutterfly 2. I'm a big fan because they're made of organic cotton that GOTS certified. I love the Tyler fabric! And I learned that they have mini carriers kids can wear. I'm a fan of BBC on FB. I follow BBC on Twitter. I'm a follower and I love the Beco! They are so pretty, and they sound like the best carrier ever. Something I learned from the Beco site is that you can pass the baby between users without removing them from the carrier- very handy for when me and my husband are out for a walk together.